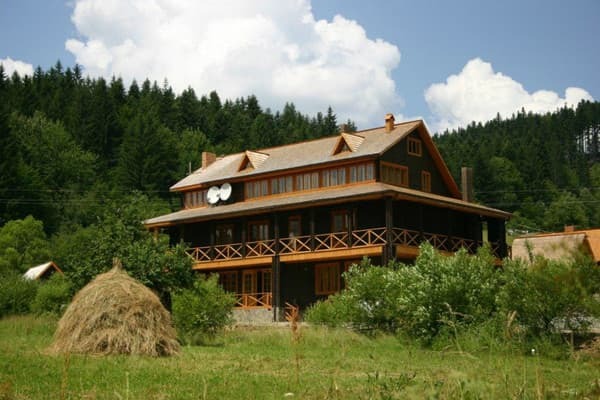 A magic picturesque corner of Carpathian Bukovina, secluded mansion house in a wonderful mountain place, absolutely clean playful waterfall, clean mountain air filled with aroma of mountain herbage - all this you will be able to see and to feel while visiting our mansion house Lekeche. 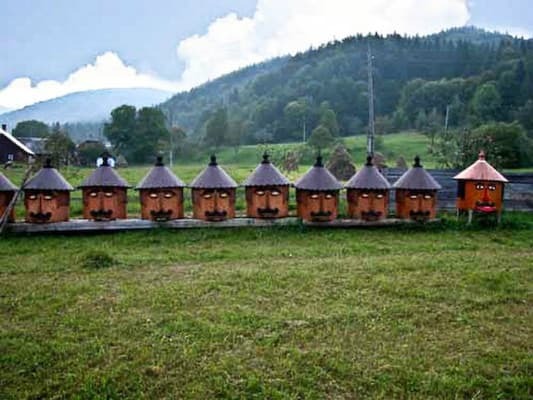 Our small complex we have built according to besr traditions of Guzul people. The complex is made from wood, natural stone, beech, alder tree. 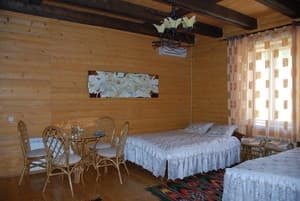 While creating our mansion house we also used modern technologies from the fields of construction and informatics, having equipped our rooms with all conveniences of european standart, with comfortable furniture from natural materials and decorated with the best paintings of artist S. I. Ivanova which were created from Carpathian legends, and also there is space television with a lrge variety of TV programs. 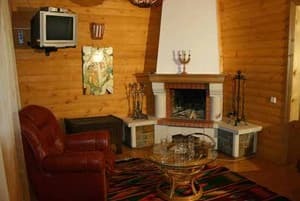 At your service there is sauna and a swimmingpool, fireplace, playing-room with ping-pong and a table for billiards. Tourist complex generously and friendly welcomes you alone, with partner, with family and with a group to 22 people. Description of the room: In the room there is a double bed, TV, refrigerator. Description of the room: In the room there is a double bed, TV, refrigerator, bathroom. Description of the room: There is a possibility of accomodation for 8 people - the price - 2960 UAH. Description of the room: There is a possibility of accomodation for 8 people - the price - 4410 UAH. 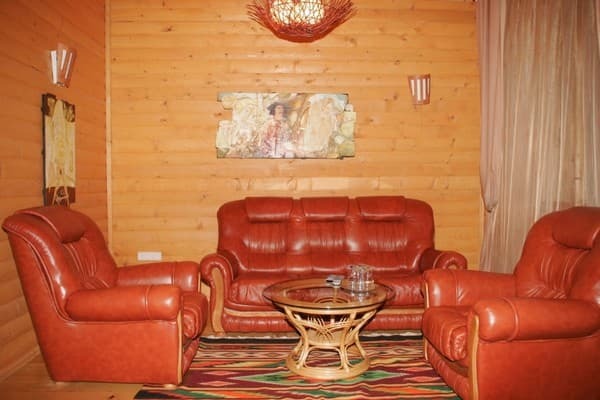 There is a possibility of accomodation of 12 people - the price - 5610 UAH. Затишне місце, мінімум посторонніх звуків. Привітний персонал і смачна кухня. В номері чисто, все що описано на сайті відповідає дійсності. 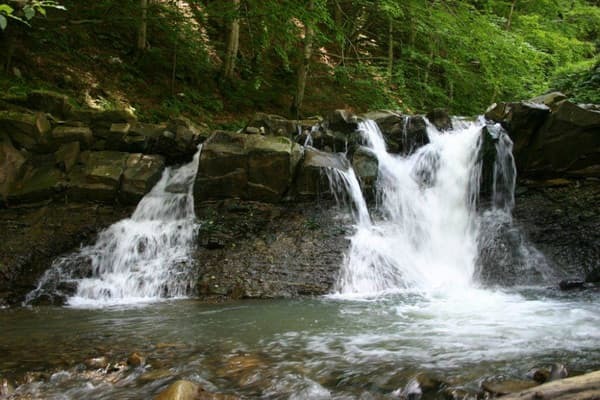 The Lekeče Manor is located in a beautiful mountainous area, next to a crystal clear waterfall. By public transport: by train, by bus to the city of Chernivtsi, then from the bus station 1 minibus to the village of Vizhenka (daily route, according to schedule), to agree with the hosts about the meeting. By car: along the road Chernivtsi - Vyzhnytsya - Verkhovyna (R-62), turn at the sign of Vizhenka village.